BMC’s Philippe Gilbert finished runner-up at last weekend’s Tour du Haut Var, despite the lingering after effects of a stomach bug, which prevented him from racing Trofeo Laigueglia. A good result as the cobbled, and not-so-cobbled, Classics are fast approaching! I had good legs all day. Yesterday, while I finished third, I was still feeling the effects of some digestive problems due to a recent minor illness. Today I didn’t attack on the cote de Tuilière because a strong headwind was blowing a kilometre from the finish. I wanted to aim for the overall victory, but it was complicated by the wind. My team-mate Brent Bookwalter tried his luck, forcing the other teams to work. During the sprint for the line, Mathieu Ladagnous [FDJ] attacked first on the right. I went left but was overhauled by Luka Mezgec [Giant-Shimano]. Unfortunately, there was nothing I could do. In any event, I am satisfied with my results this weekend, I feel good before the opening weekend of the Flemish races starting with Het Nieuwsblad this Saturday. 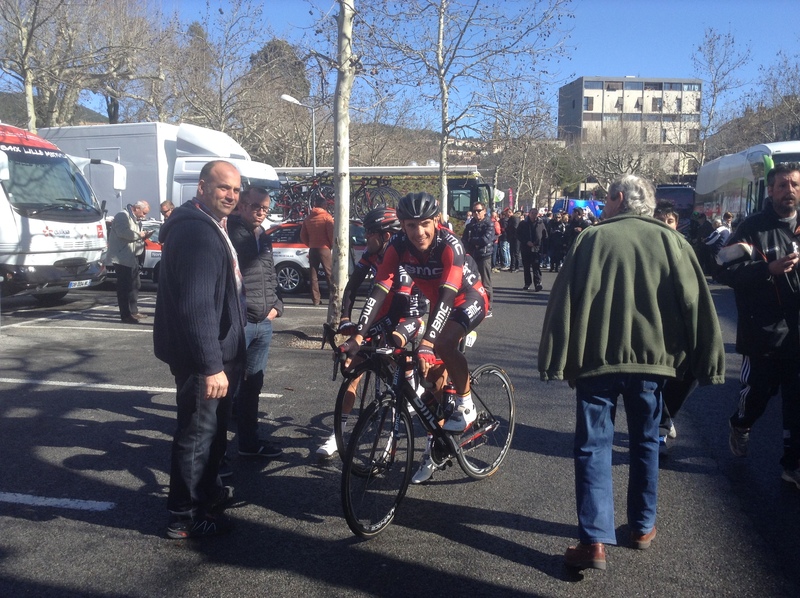 BMC directeur sportif Yvon Ledanois said he took some positives away from weekend. This is not a bad result for Philippe. This shows he is ready for the Classics. He is at a good level and he has recovered well after health issues kept him out of Trofeo Laigueglia. Gilbert starts his Classic’s campaign next weekend with Omloop Het Nieuwsblad and Kuurne-Brussels-Kuurne, followed by Milan-SanRemo, a race he accepts is very difficult to win. He’ll then train in the mountains specifically for the Ardennes Classics, where he’ll be hoping to at least emulate his success of last season, if not 2011. Next PostWow, where’d you get that jersey?